Arlington, VA, 23 NOVEMBER 2012: The National Genealogical Society has released the full 2013 Family History Conference Program. It is available online and is fully searchable at http://members.ngsgenealogy.org/Conferences/Program2013.cfm. The theme of the thirty-fifth NGS Family History Conference is Building New Bridges, and it will be held 8–11 May 2013 in Las Vegas, Nevada. 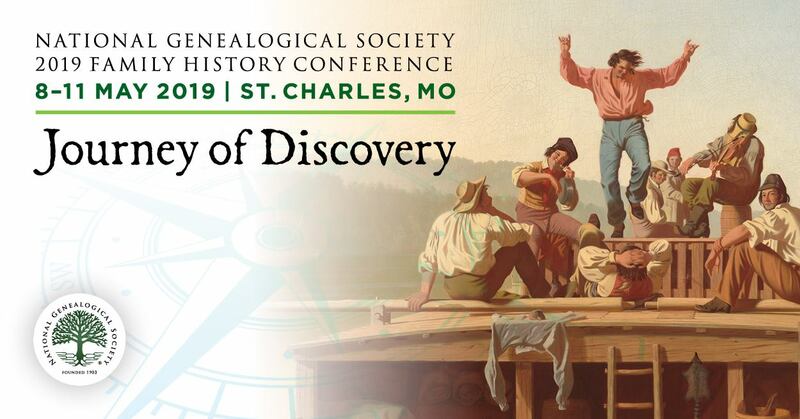 NGS varies the theme and geographic location of its conference annually and brings together thousands of genealogists and family historians to learn the latest in genealogical research. The online searchable program allows prospective conference attendees to review the full scope of more than forty lecture topics offered daily during the four-day conference in Las Vegas. An exhibit area with over one hundred exhibitors will be open and free to the public Wednesday through Saturday and will include the latest in genealogical software, online research providers, published sources, societies, and DNA testing sources. http://www.ngsgenealogy.org/cs/conference_info. The brochure includes information about lectures, sessions, speakers, luncheons, tours, pre-conference events, registration times and rates, and accessibility as well as general conference and exhibit hall specifics. Some examples of the diverse offerings of the NGS 2013 Family History Conference include DNA, ethnic research, technology, immigration, the law, migration, methodology, religion, Skillbuilding, the West, and woman. To request a registration brochure, e-mail Courtney Holmes at [email protected]. Registration will begin Saturday, 1 December 2012. To register online, visit the NGS website at http://www.ngsgenealogy.org/cs/attendee_registration. NARA Archives Facilities + Sandy = Doing OK!